Silver Chiavari Chairs are a classy and popular choice for chairs. They are light and comfortable and look great in a formal setting. Our chiavaris come with your choice of black, white, or ivory chair pads. 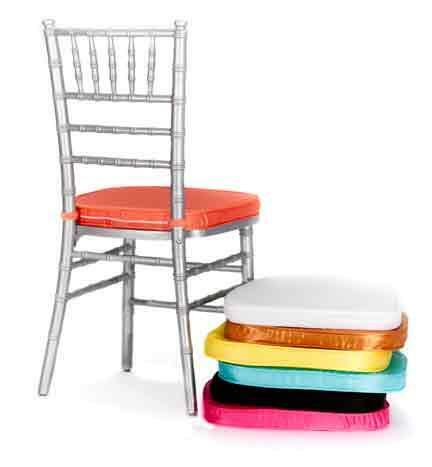 Enhance your look with a satin finish chair pad for an additional rental fee.